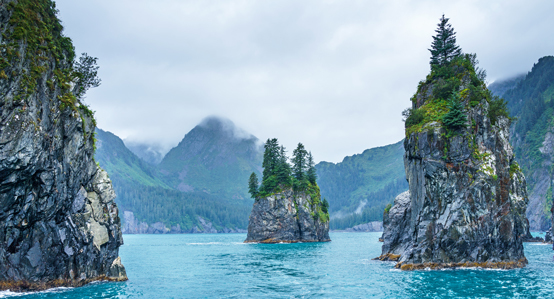 Alaska conjures images of glaciers, majestic mountain ranges, gold mining and grizzly bears. The 49th state contains some of the most pristine wilderness in the United States, all accessible from the comfort of tour buses or cruise ships. Imagine watching ice calving off glaciers from the rails of a cruise ship or watching the wildlife of Denali National Park from a luxury tour bus. Pan for gold in Fairbanks, enjoy the culture of the state’s coastal villages, and learn about the Native Americans and pioneers who first settled this forbidding but beautiful land, all with the guidance of experienced tour guides. We’ll take care of your luggage and accommodations, so you can experience the Last Frontier in all its glory. It’s the only way to travel.